It must seem that I am whining a bit about my struggle with Type 2 diabetes because of the frequency of posts about it. After a pretty good week of a regimented routine that yielded some of the best blood sugar levels, energy, focus and over-all healthiness in a year - the darn levels sky rocketed yesterday evening and I am not having a lot of success getting them down. To say I am frustrated is an understatement. Days of levels from 6-8 have been eclipsed by scary numbers like 17-22! The positiveness, energy and commitment to exercise replaced by negativity, sluggishness, and a why bother thinking process. These spikes eat into my quality of life and can contribute to serious health problems down the road. 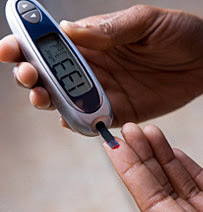 Spikes, particularly day after day, can raise your glycosvlated hemoglobin. High levels have been proven to raise the risk of long term complications. 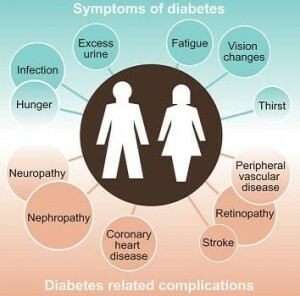 In people with Type 2 diabetes, high levels are a factor for cardiovascular problems. I feel hungover, lethargic and just sick, despite feeling, for perhaps the first time, that I had turned the corner in finding the right regiment of exercise and diet. I have been thinking lower GI foods and portion control. Each episode of high blood glucose can alter the way certain genes function, resulting in the production of harmful chemicals called free radicals, which cause inflammation and damage to the linings of the blood vessels for hours, if not days. I have a suspicion that the monkey wrench is my schedule - I need to eat at the right time and not deviate too much. Amazingly, my body appears to be that fine tuned. Time to chat with my doctor or a diabetes nurse again. Thanks for the e-mails and suggestions from your personal experiences. - keep them coming. I am learning lots from the experiences of others. And you think you have troubles.... I have been two years with severe to moderate pain, can't sit much or drive, must sleep on my right side. Blood pressure spikes to emergency levels, and have been to emergency 3 times. Cause might be a large cyst on the kidney, or heart related , or medications or stress/anxiety. Tons of scans and x-rays. My daughter texted from Florida and suggested a new doctor, who has an opening. In the last two weeks my left abdomen is swollen, and everyone can see it , but my GP cannot. Just back from the new doc appointment. Infected bowel he says, and has me on two antibiotics.Cost for the med 48.00 In the past 2 years I have been unable to work, and out of pocket some 200,000.00 or more! But the verdict is not in yet, I have 7 days, but in 2 hours there are already positive indicators. What doctors, and what a system we have here!. I am preparing passport documents to travel to the USA for treatment...... perhaps now unnecesary.